Opening in September 2013, The Hydro is a 12,000-seater brand new state of the art entertainment venue promises to bring the biggest new shows, games and acts to the heart of Glasgow in the UK. And with American broadcaster CNN recently naming Scotland as the top travel destination for 2013, the countdown has well and truly begun to the opening of Scotland’s new home of live entertainment. Jonny Petrie, head of sponsorship with venue title sponsor Scottish Hydro, said: “There’s already a great buzz both out and about and online about The Hydro. The opening act is being kept well under wraps for an announcement coming soon but already the versatility of the arena can be seen in the events currently on sale with spectacular stage shows, pop, rock, dance, comedy and the venue also will play host to the gymnastics and netball in the Glasgow 2014 Commonwealth Games. 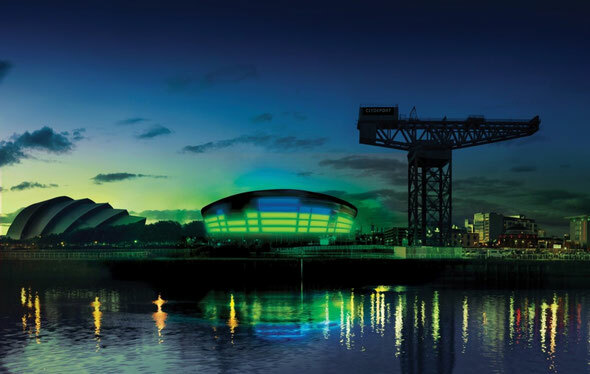 Predicted to sit amongst the top five busiest indoor entertainment arenas, positioned alongside London’s O2 Arena and New York’s legendary Madison Square Gardens, The Hydro will welcome no fewer than 140 events and around one million people a year. For latest info and acts and events confirmed so far, check out: www.thehydro.com.